오슬로, 노르웨이의 앵커 호스텔 | 호스텔월드에서 예약하세요. 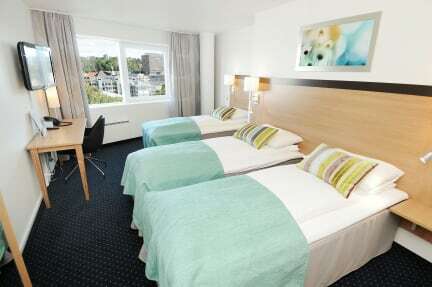 Anker Hotel is located a mere ten-minute walk away from Karl Johan, Oslos main street. Just outside the door youll find a bus stop, tram stop and taxi stand enabling you to get to all parts of Oslo. Our hotel has 264 rooms, all with a shower, toilet, telephone and TV and in-room movies. There is also a working desk and free wireless Internet. 위치도 좋고 가성비 또한 훌륭합니다. 조식도 알치고요. 다음에 또 이용하고 싶습니다.